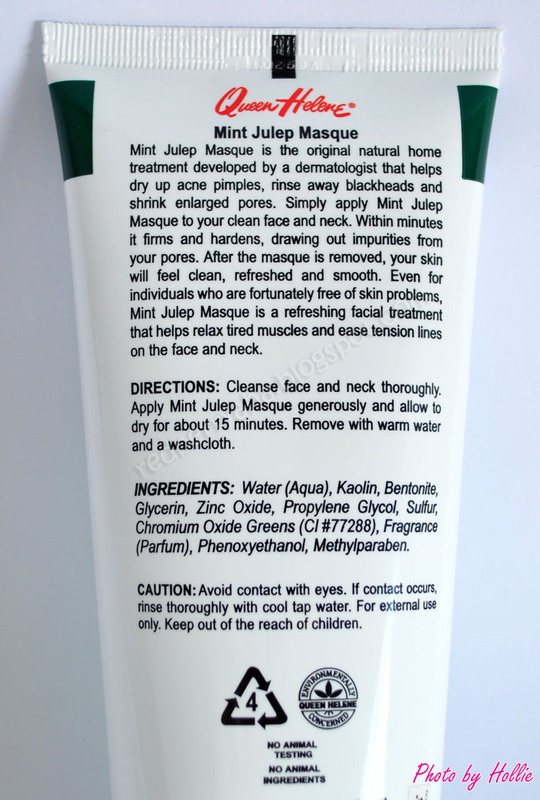 Finally, after using this product for over a month I'm now ready to make a review on the Queen Helene Mint Julep Masque. After all the raves I've seen about this product, I was so happy when I found it at "Healthy Options" SM City Cebu Northwing branch. I had a terrible breakout last month and I just happen to see this product in one of xteener's videos on Youtube. I wasn't really looking for it, because I simply thought that this isn't available locally. But when I made a visit to Healthy Options, I saw this on the skin care shelf. Just imagine how surprised I was to see this! So, I quickly picked it up, checked the price, and headed straight to the cashier. * has a lot of product, 8 oz. 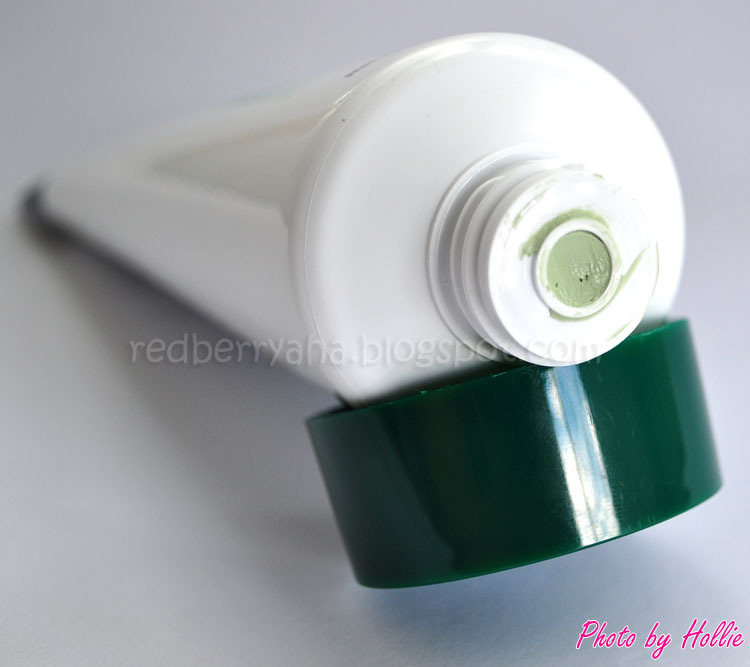 * squeeze type tube packaging is awesome, unlike other masques that comes in a jar. * it would have been better if the cap was a flip type so that it won't fall off every time I open it. I used this every night during the first week. That was when I noticed that my breakouts have really dried up and the bumps have flattened. 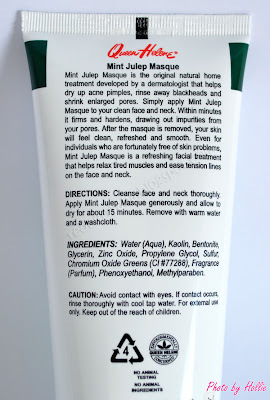 Since then, I have been applying this masque once or twice a week, and has kept me from having occasional bumps. Will I repurchase? Maybe. I just don't feel that I really need this. However, If you have large pores and have oily skin, I would highly recommend for you to try out this product. I've heard about this from a lot of people, but your review is the only one I've ever read haha! The minty tingling sensation sounds really refreshing! I read so many about this too!! But I couldn't find it here locally in my place. I have oily skin yay! This should work for me :) I wanted to try this out because I heard many good things and it's very cheap. @Dee, thanks for reading my review. really appreciate it. @Slowbrogal, aw, too bad, I bet you can find this online. @Hazel, try this sis, it might work well for you. 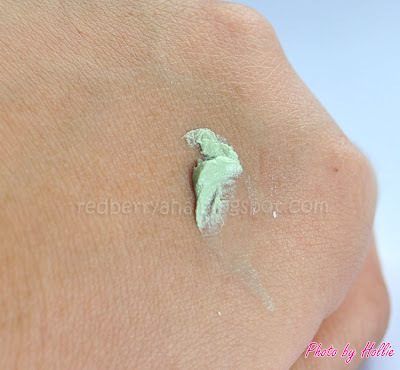 @EveryDay Makeup blog, yeah, try this out, you might find how interesting it is for such an affordable and simple product to work. Hello Hollie. I want to try this product for my big pores. but is it available within manila? Hello.. do you think it is available in watsons? @nix, this is only available at Healthy Options... Watsons doesn't Whave this. I just got this today and tried it when I got home. I have combination normal/oily skin. I instantly loved this mask! No stinging or burning sensation on my first try as to what others felt when they tried it. my skin feels soft, smooth and my pores are less visible unlike before. Hope to do a review on this soon!